I'm the current graduate intern in the antiquities curatorial department of the Getty Villa. I studied anthropology and art history at Vassar College, and received my master's in material anthropology and museum studies at Oxford University. I've worked at the Rubin Museum of Art, the American History Workshop, the Pitt Rivers Museum, the Newark Museum, and the Special Collections and University Archives of Rutgers University's Alexander Library. 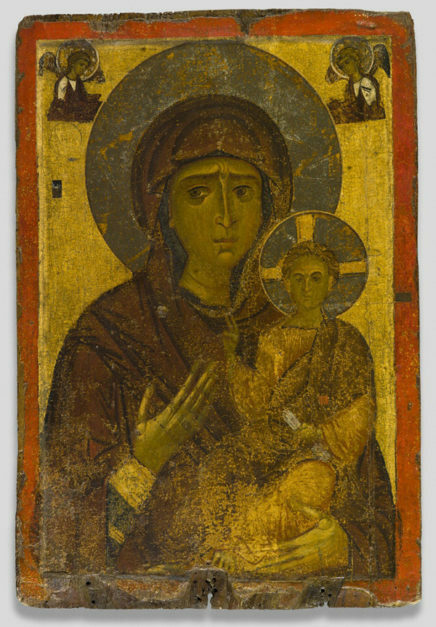 Revered in Constantinople, the icon known as the Virgin Hodegetria was believed to hold special powers.